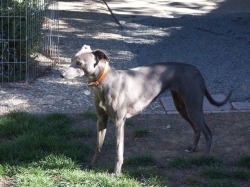 We lost the handsome son of Oochigea's Voltage and Kentfield Eurydice on August 23, 2017 at age 14. In addition to being my best friend, he was my competition and training partner. He was a natural on the oval track. When he was half way to his oval championship, injuries forced his retirement. 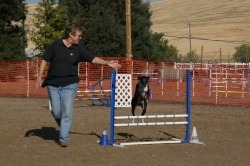 Undaunted, Cash went on to train in agility and achieved his N.A. title in three straight trials with three blue ribbons. 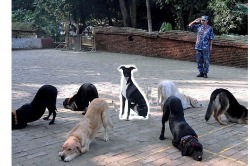 He went on to get his nosework1 title - only the 7th Whippet ever to get it. I will miss him forever. Although Cash is gone, a beautiful daughter came into the world in September of 2017, from FC Shannon Down Happy Feet (Mumble) SC, FCh, CRX3, ORC. Puppy girl is TCS Cash Creek Road Warrior, and she's a looker! 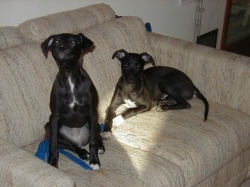 The litter mates are avid competitors on the track and best friends at home. Cash's daughter Starr grabbed 3 5-point majors to earn her AKC Field Champion title! 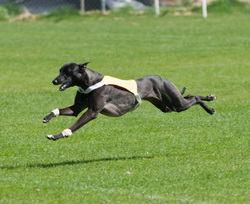 For the Senior Courser test the dog must be eligible to run in the Open Stake by virtue of having a Junior Courser title; must run with at least one other dog and must earn a qualifying score at four AKC tests under at least two different judges. We are so proud of Dazzle! Cash's speedy and beautiful daughter was first and Best of Breed at a recent Texas lure course. GO DAZZLE!!! 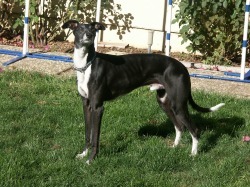 Video of Dazzle and Shinju coursing the day after Dazzle's big win. 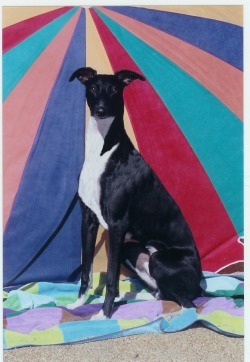 The puppies' Mom, Anaxo, racing in Florida. Starr and Denzel showing how grown up they are. Cash watching for invading aircraft. Cash dashes through the tunnel.